Apprising Ministries continues warning you that spiritual deceptions are on the increase within the mainstream of the evangelical community as it surrenders the proper Christian spirituality of sola Scriptura for corrupt Contemplative Spirituality/Mysticism (CSM). I see absolutely zero reason in separating my fellowship from anybody. In the real world, which is the only one we have, Rick Warren has just set himself against the Lord’s Protestant Reformation; i.e. the Reformers were wrong to separate their fellowship from the Roman Catholic Church. Now also consider that Warren is one of the most influential pastors in the Southern Baptist Convention. Before you toss this aside as some “angry blogger,” why don’t you actually make the time to read my documentation; it’s all right here for you. Actually, it gets even worse; as you’ll see below Rick Warren has quite literally helped Roman Catholics increase the size of their parishes where they preach their false gospel. You might remember that back in 2007, e.g. 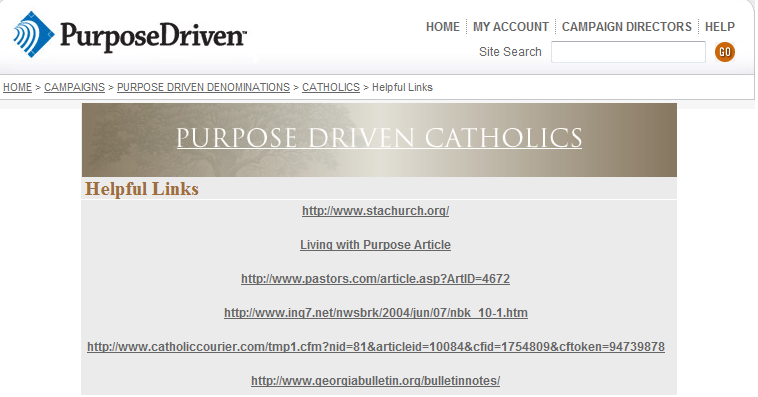 in Southern Baptist Pastor Rick Warren Is Openly Promoting Apostate Roman Catholicism, I told you about a section of the PDC website devoted to Purpose Driven Catholics. 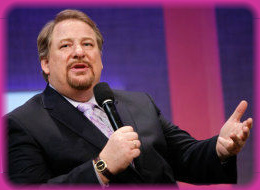 Sadly, webpages and links concerning Rick Warren are very apt to suddenly vanish unexpectedly. Keep in mind here that the “helpful links” above were for people in the Purpose Driven Christian denomination called Purpose Driven Catholics; and this, yet again, is Warren professing to believe one thing and actually doing something else. God’s Word, the Bible, speaks of this as being double-minded. You’ll also see below that on at least one occasion Rick Warren actually bestowed a healthy church award upon a Roman Catholic parish. Once online at PurposeDrivenChurch.com we found the piece 2006 CHA recipients honored at Saddleback during Purpose Driven Church conference. Pastor Rick Warren met with the 2006 Church Health Award recipients, along with winners from previous years and regional Purpose Driven leaders, at a reception on May 15 at Saddleback Church. Pastors were given the opportunity to share their stories of integrating the Purpose Driven ® model into their churches with Pastor Rick and each other. Many of them expressed their gratitude for how the five biblical purposes helped shape their congregations into healthy churches. And one of those plaques that went to “the CHA winners” along with “an opportunity for a photograph with Pastor Rick” was presented to Family of God Church of Tacloban, Philippines; its “denomination” we’re told is “Roman Catholic.” No way around it; Warren acknowledged this apostate RCC parish as a legitimate church. 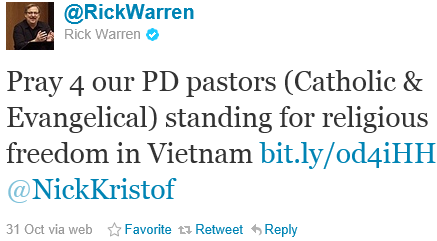 While we don’t wish to see anyone suffering, the point here is Rick Warren most clearly told you he has Roman Catholics as “PD pastors.” You need to be aware the erroneous idea that faithful, practicing, Roman Catholics are Christian brothers and sisters is rapidly spreading the deeper CSM slithers into evanjellyfish.